With the finest crops, we always cut from whole potatoes and prepare with love and care using real, simple ingredients and no artificial colours or preservatives. Made from 100% British potatoes for everyone to enjoy! 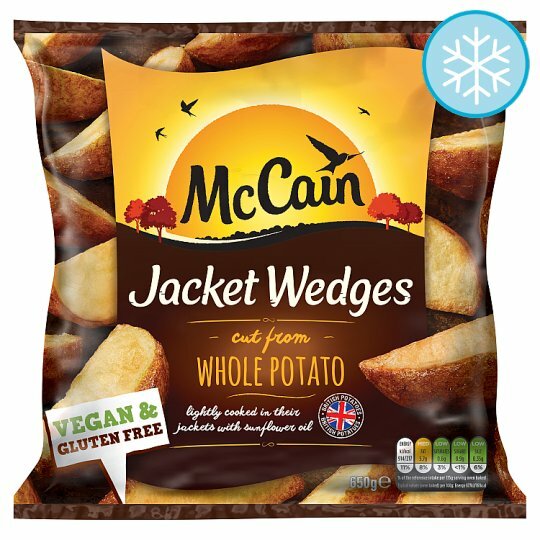 Oven cook (From Frozen): Here's how to cook 500g of McCain Jacket Wedges.